So, after few searches using my trusted search engine DDG, I was able to find a work around. 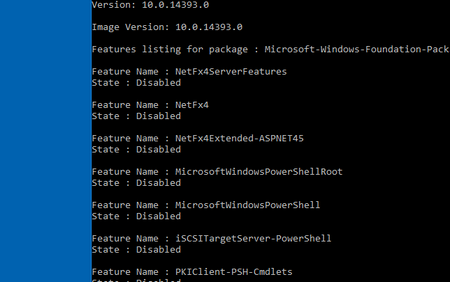 Since you can’t use GUI which was obviously dependent on .NET Framework 4, I thought just like how I use PS to install windows components in DSC, I can use something similar and install using PS only !! And to my surprise, it worked just fine. And once I have enabled that feature using PS, I was able to start Server Manager… and do my things. So lesson learned …. CLI beats UI all the time every time …. This entry was posted by Gaurang on March 24, 2017 at 9:29 pm, and is filed under How To, Windows. Follow any responses to this post through RSS 2.0. You can leave a response or trackback from your own site.